Situated in the heart of England, hog roast Oxford is the perfect place for a hog roast event. We offer the best hog roast in Oxford from the oldest hog roast company in the area. 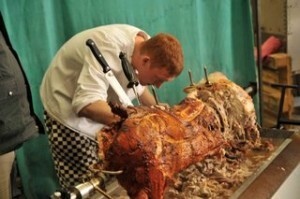 We have been providing great hog roast catering in Oxford for over twenty years. Catering for small parties and people homes, weddings at many of the venues and hotels and providing midnight feasts for the Oxford ball. Hopefully you will have already heard of our great reputation if not please have a look at our testimonials page to see some of our great revues. Surrounded by the rolling hills of the Cotswolds to the West and the Chilterns to the south. It is probably most famous for its university and the stunning university buildings. The population of the city is swelled by the number of undergraduates and post graduates during term time but it is still a vibrant and bustling city out of term. The city is host to a vast number of pubs where we often have a hog roast Oxford party perhaps the most famous of which is the Eagle and Child where Tolkien and C.S. Lewis and the Inklings met to discuss their work. Another well known and much loved pub is The Turf frequented by locals, students and international visitors. 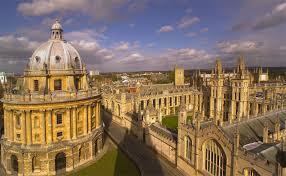 Oxford is also host to many different styles of cuisine from Thai to Czech to French and traditional English food. Some of Britain’s favourite chains have a presence in the high street whether you are looking for Giraffe, Jamie’s Italian or even Carluccios. What better way to celebrate with friends for a weekend than to visit Oxford in the day with its “dreaming spires” perhaps taking in the Ashmoleum museum and its new restaurant for lunch, with a spot of shopping in the afternoon, or a punt on the river followed by afternoon tea at the famous Randolph Hotel, and a party back at home with a spit roasted pig in the evening. 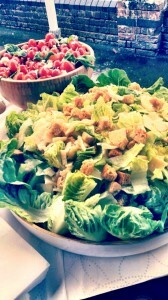 We catered at a huge event at Linacre College recently with 300 guests attending the ball. Obviously a big job but all worth it when you see the glee on the guest’s faces as they tuck into the perfect slowly roasted Pig. The menu also included spicy marinated chicken winglets with a blue cheese dip, freshly made Lamb Koftas with Yoghurt, mint and Cucumber. Add this too slowly roasted Pig cooked from fresh, locally sourced, freshly made Coleslaw and Mixed Leaves with cherry tomatoes and you have a winning menu. From the lecturers t o the alumni, the compliments from these scholars certainly did put a smile on the chef’s face. 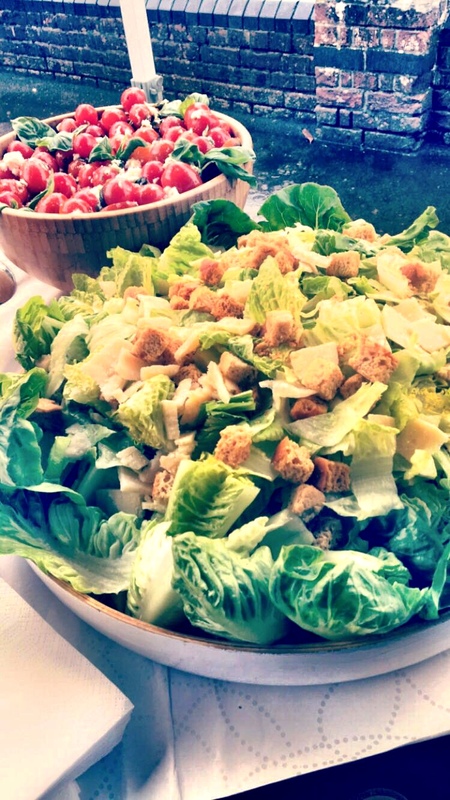 On a beautiful summer evening there is nothing to beat a succulent hog roast Oxford pig, with crispy crackling, apple sauce, stuffing, served in a bap or perhaps with a selection of salads and minted new potatoes. Relax in your garden while we look after your guests. A hog roast is a very simple way to entertain a large crowd of people, and is very cost effective, and provides a wonderful spectacle. There are plenty of things for you and your friends and family to do the next day. If you have children they will be thrilled to see Christchurch College, one of the locations for the Harry Potter films.Take a stroll through Port Meadow and along the banks of the Isis or Cherwell rivers, or visit the fabulous Botanical Gardens. Perhaps you would prefer to have your hog roast Oxford on a Sunday afternoon a most enjoyable way to laze away a Sunday with family and friends. You supply the Pimms and we’ll do the rest!